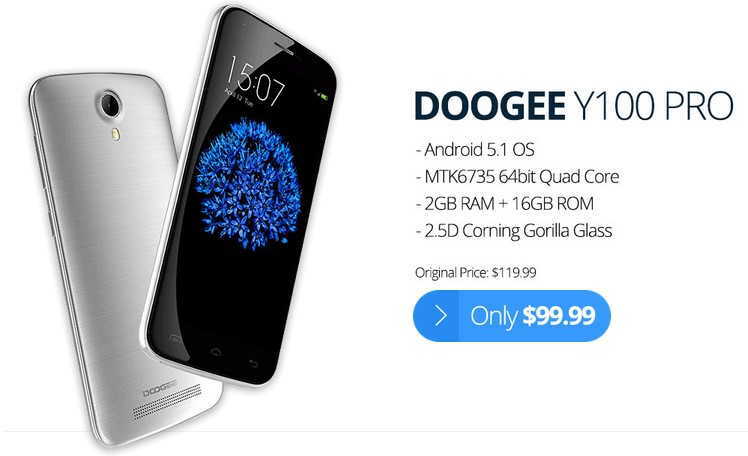 Doogee, a famous Chinese smartphone manufacturer has got a long list of smartphones and Doogee Y100 Pro, X5 and Nova Y100X. But if you could get upto $20 discounts on these phones? Yes, we have a deal alert for you. 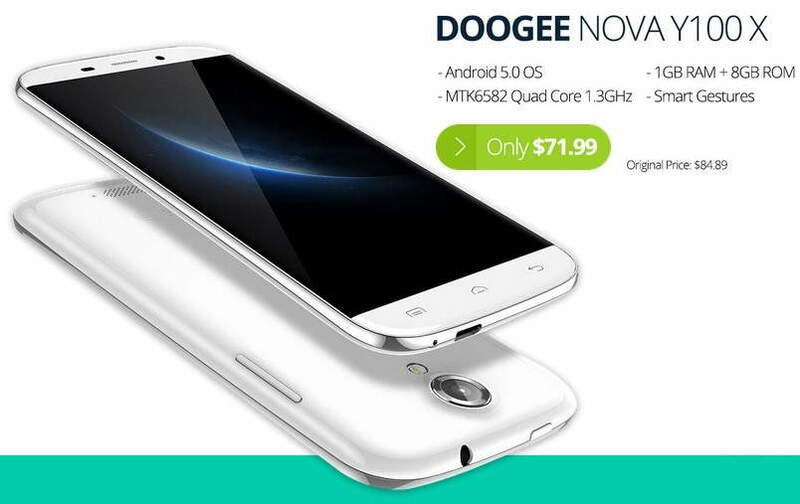 Once again, this week from September 8th to 14th EverBuying is holding the Doogee Savings week, in which you can avail up to $20 discount on some of the selected products. So, before we move on let’s take a look at the Top 3 devices under this offer. This phone has got the best deal with a price tag of just $99.99 instead of the regular price of $119.99, so you get $20 off on Y100 Pro, let’s take a look at the specs of the phone. So, basically you get everything you need at a killer price of just $99.99, 2GB of RAM, a 64-bit quad-core processor, a beautiful 5 inch display with Gorilla glass, 13MP rear camera and 8MP selfie cam on front, faster connectivity with 4G LTE, so it’s totally worth spending that much on such a device. You get around $7.50 off on this device. The phone has good specs on the sheet, but yes lower than Y100 Pro. Let’s look at the specs. With the Doogee X5 looks like they have cut off some specs out of the device but yes, you get 1GB of RAM for multitasking, 8GB of ROM, however just 2.4GB is usable. 5MP/2MP camera setup is basic, but you won’t get 4G with the device. 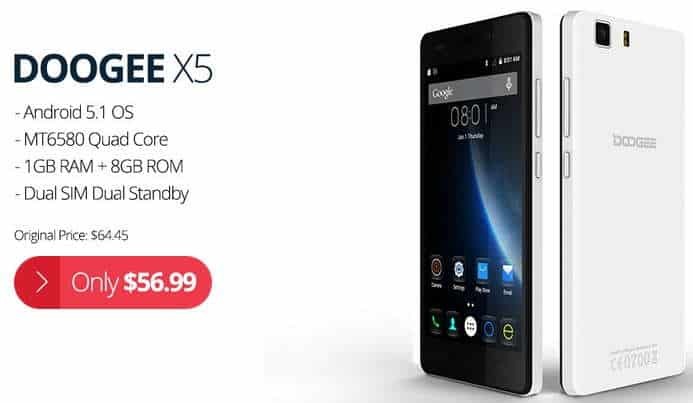 However, at a price of just $56.99 from the original price of $64.45, it’s a good deal. This phone is right in the mid of the two phones mentioned above, neither very high specs nor very low. basically the phone has everything but lowered with some specs cut off. Like you get just 1GB of RAM, but a 64-bit quad-core processor clocked at 1.3GHz. In terms of storage, there could be 16GB of ROM, but you get just 8GB. Another thing is that this phone does not support 4G. Yet, it’s a good deal at $71.99 instead of $84.89. So, you might be wondering how you can grab any of these with cool discounts so head over to the offers page at 9 AM GMT on September 8th and grab yours as fast as possible. However, the offer will continue for one whole week. Apart from these, there are new arrivals from Doogee like Doogee F5, Doogee F3 Pro, Doogee X5 Pro and much more.